Blight? You betcha. 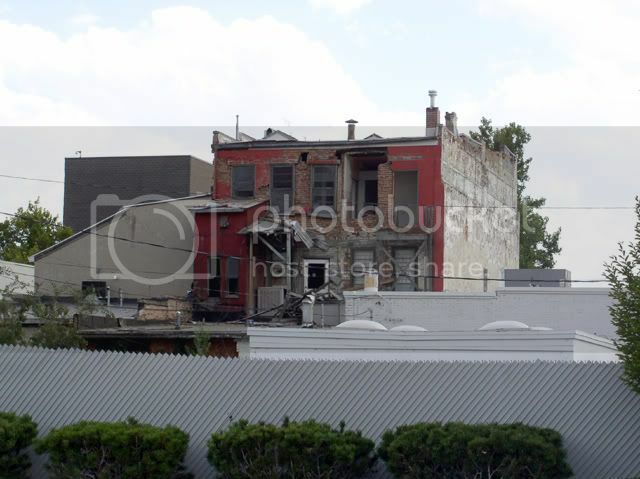 Blight is characterized by, in this case, a deterioration of an urban area. Maybe, fifty years ago, that building was fresh and new, surely not having any broken windows nor brickwork in serious need of repair. OK, I'll admit that there's nowhere in the country that is immune to blight. Eventually, many places just get out of hand; people move, businesses close, and no one moves back. Just like in that building. And, dare I say, there are places in Utah that have been prone to blight. Metropolitan areas to the north of Salt Lake City and to the south of Ogden come to mind. But where, pray tell is the urban blight pictured above? Yes. There. Provo. Just off Center Street on 500 West. Take a look next time you're in the area.